MessyJesse - a quilt blog by Jessie Fincham: Blog Hop Around The World, A Q&A with Me, Jessie! Blog Hop Around The World, A Q&A with Me, Jessie! Hello friends, today I'm sharing a little more about me and my creative pursuits by joining in the 'creative blog hop around the world'. Lots of blogger's have been joining in, and then nominating three more bloggers to carry on the discussion. It's really a great way to discover new crafty people you may have otherwise missed, and find out some interesting things us blogger's don't always share on a day-to-day. I was invited by the lovely Helen Philipps (who posted her Q&A last week) to answer these questions so I'll get straight to it! Thanks for inviting me dear Helen! I'm in the middle of quilting my Naturally Nautical quilt #naturallynauticalquiltalong. It's my first! free motion quilting quilt I've worked on - so the pressure is on! I've always shy'ed away from FMQ but I know I have to start somewhere, and baptist fans it shall be! Another long quilt project I have on go is the 50 States Stitching Club, designed by Mollie Johnson. Each week we are given a new embroidery motif for a chosen state, we are then turning it into a little EPP star and appliqueing it to form a quilt block. So fun! 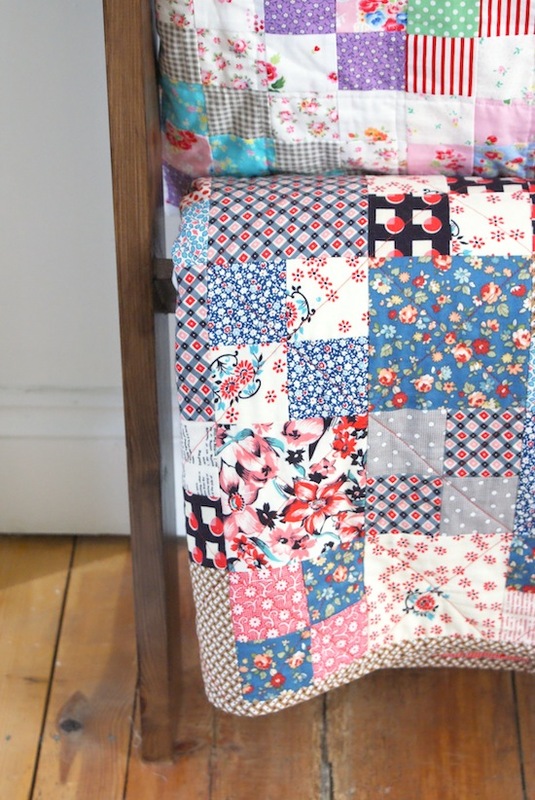 I have a couple of quilt tops that need dealing with too - I always seem to love leaving them round the house for months until I get them quilted! The Spell It With Moda alphabet quilt need's to be basted and quilted, and I've got to get my bum in gear (and save my pennies!) to arrange my Scrappy Irish Chain quilt top to be long-armed. It's huge, so I really can't do it myself. I've got a few editorial projects in the works right now as well, with some big deadlines looming quite soon! I've always got a ton of English paper piecing projects on the go. I've just completed a little 'Seven Sister's' mini quilt top, so I need to get that finished. 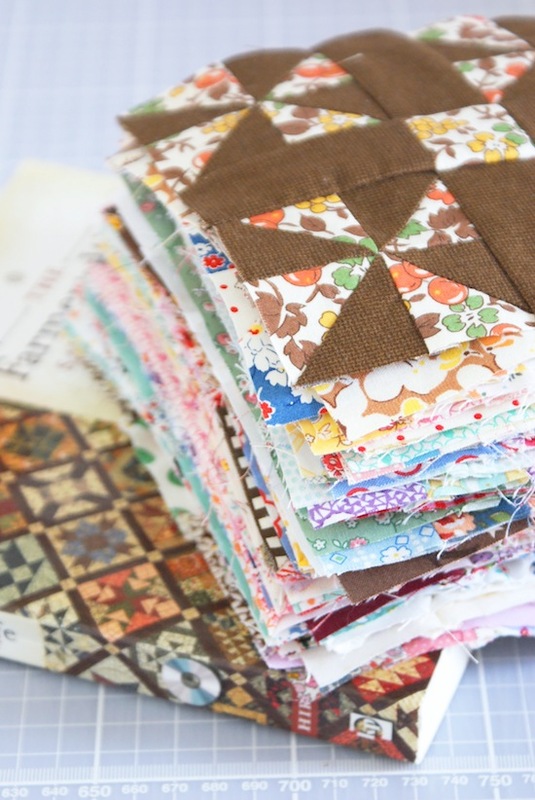 If you haven't seen already I'm doing a series on English paper piecing basics on the blog each Monday. So I will be photographing the process of finishing it to use for one of my last posts on the topic. I've got one completed double wedding ring finished using EPP as well, not sure if I can go the whole hog with a full quilt!? Plus, I always pick up some hexies to make some Grandmother's Flower Garden block whenever the mood strikes me! I'd like to think I have a bit of a distinctive style? Regular readers of my blog might know I adore vintage quilts, and I think I certainly incorporate a sense of that in my quilting and general sewing work - whether that be toy-making, sewing something practical for my home or the occasional dressmaking project I take on, it will always have an element of nostalgia from previous era's. When I'm not quilting I like reading up on quilt history, when I can find the time. I'm particularly interested in quilts from the U.S. around the 1920s and 1930s, so I think my love for antique and traditional quilting has definitely influenced my style. I think I'm always drawn to a toned down version of things as well? I like to use a lot of neutral for backgrounds and sashing to allow the fabrics to really sing. However having said that I do enjoy making scrappy, happy quilts full of colour and varying prints - but then I would probably display it in a more subtle way in my home, which I think can almost make it feel fresh and modern again? Because I would explode if I didn't. Really, I would. I need to be doing something creative with my hands all the time, whether it's sewing something up on the machine or whiling away a few hours hand sewing in the evening. I like to keep busy! I was never one of those kids that said I was bored - ever. There was always something to do. Just ask my mum ;-) plus, I would have been given chores to do if I was caught saying that! As well, I love being able to interact with the online quilting community, with all the social media channels it's great being able to talk crafty things and be inspired by others. Having my blog is great way to document my creative journey too, I would never have remembered all the projects I've done over the years if I hadn't blogged about them. My memory is like a sieve. True story. Creatively speaking, it varies. I might come across a pattern that instantly grabs my attention via a book, Pinterest, the blogosphere or anywhere and then I will have a look through my fabric stash to pick out a colour palette/fabric choices that I would think to suit the design. Other times I may have got some new fabric in for Sew and Quilt, which I immediately fall in love with so I will get out my sketchbook and plan a project around that. It might be a quick little project like a pincushion or a larger quilt design, whatever I fancy - and deadlines depending! I'm always wanting to try new techniques (to me) as well, for example I haven't done much in the way of applique so that's something I want to try more of, so I will go about sourcing some design ideas online, and go from there. In terms of writing for blog posts, it's not as organised as I would like. I'm quite a sporadic blogger and try to fit it in when the time allows me. I take as many photo's as possible when the weather is kind to me, and then write up the blog posts during the evenings after my day job. Wow, I think I've waffled on enough now, so it's my turn to choose 3 more bloggers to keep the ball rolling! I was very un-organised arranging my invitations, so just waiting on my final blogger - perhaps one more because I'm greedy! ;-) I'll update once I have confirmed. I wanted to choose blogger's who's work I really admire, and were very different in styles and craft. So be sure to look out for their Q&A posts soon! 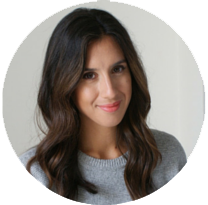 Mollie Johnson of Wild Olive - Mollie writes a fantastic blog, which I've been following for a number of years now. I'm a huge fan of her unique projects she comes up with and delightfully cute embroidery work. You must check out the 50 States Stitching Club she's running at the moment. Sherri McConnell of A Quilting Life - Sherri is another brilliant blogger who I've been following for many years, I also love following her on Instagram! She's a prolific quilter and always inspires me with her latest quilty goings on. Remember my Cherry Blossom mini quilt? Yep, Sherri was my inspiration for that after seeing her version ;-) on IG. Regarding your Farmer's Wife quilt: When you first started it, did you have a bunch of fabric set aside specifically for that quilt, or have you just been using whatever is on hand as you've been making the blocks week by week? I've just been working from my stash but had a plan to use only repro's with touches of 'modern' fabrics. Love to read your answers! A great way to learn about other creative people and their work. I was invited, too, and will post my answers on Monday 11th. A lovely read, Jessie! I enjoyed it very much......so interesting to find out more about you and your lovely work!